View More In Power Drill Parts & Accessories. This Fisch Wave Cutter has technology that allows these bits to drill splinter-free, true to size blind holes, for edge and slant drillings in softwood and hardwood. The wavy peripheral cutting edge prevents the edges from wearing out. This allows you to drill 3 times the number of holes of conventional forstner bits before you have to sharpen. Metric sizes are required for many hardware installations such as Euro hinges and knock-down fasteners. 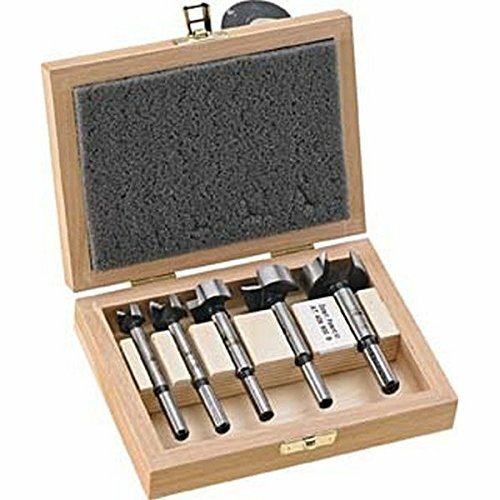 This set features 15mm, 20mm, 25mm, 30mm, 35mm bits with 8mm shank. All bits have an overall length of 90mm or 3-1/2"
If you have any questions about this product by Fisch, contact us by completing and submitting the form below. If you are looking for a specif part number, please include it with your message. Greenlee 36414 Multi Hole Step Bit, 1-3/8"